A few days later there was a box waiting for me on my porch when I got home and inside were spools of 50# and 60# ThreadLock braid and 40# and 50# Seaguar Pink Label Fluorocarbon. Scott told me to be honest so I will be; my first impression of the spectra was that it didn’t look up to the rigors of inshore fishing. 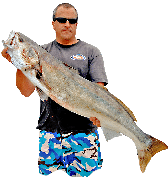 It had that refined look of line better suited to spending its days lying in wait under a 100-yard top shot of mono, only occasionally seeing the light of day when a big game fish pulled long and hard enough to introduce it to vast and abrasion-free depths found offshore. I found the fluorocarbon more to my liking but wondered if the spools had been mislabeled because the line diameter felt smaller than the fluorocarbon I normally fished. After comparing it to a spool of my usual brand, I realized that the diameter was similar but the suppleness of the line made it feel smaller. I decided to put the 50# line on my crankbait rod and the 60# on my weedless rod, my hard bait rod and my jig stick. I wanted to try a new connection for the leader that I’d seen in a YouTube video. The tutorial showed how you can insert the leader directly into the hollow core Thread Lock and use super glue to keep it from slipping. After purchasing the appropriate rigging needle, I inserted about five feet of the 40# leader into the 50# spectra and then glued the end as shown in the video. This created a Chinese finger trap connection that held past the leader’s breaking point when I tested it in the back yard. I rigged my crankbait rod that way and used my normal Tony Pena Knot to connect the leaders on my other rods. My plan was to leave these rods rigged with the same leaders and baits for a month and see how they held up. 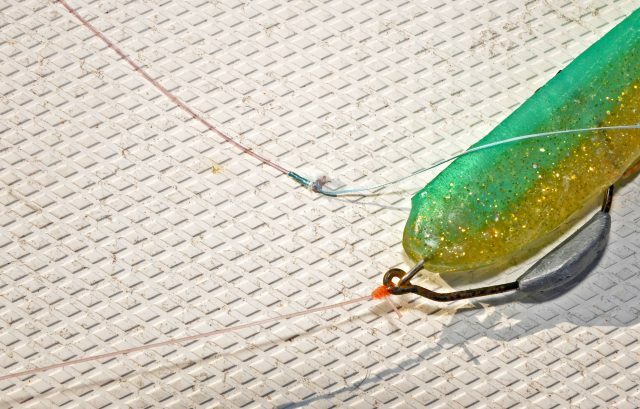 That plan didn’t work out exactly because my Chinese finger trap knot failed on my first cast of the crankbait. I’m not sure what I did wrong, but if nothing else, the futile effort involved earned a hearty laugh from my fishing buddies. 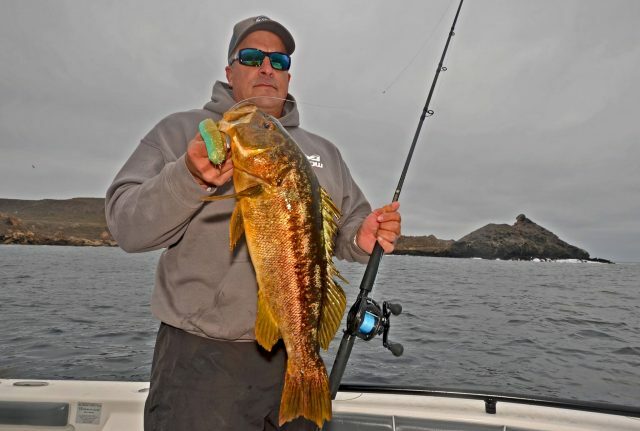 After four trips to San Clemente Island and one trip to Santa Barbara Island three of my set ups were still rigged with the same leaders and baits I’d tied on over a month earlier The only one I retied was my jig stick because I wanted to change lure colors. 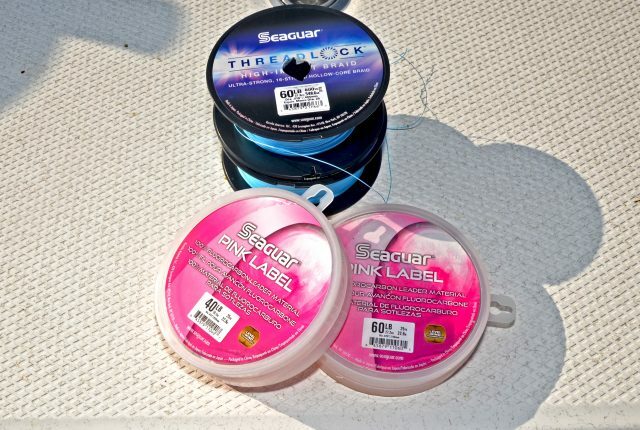 Seaguar Pink Label offers 30% greater knot strength compared to the competition. This picture shows the connection of my weedless rod. After several thousand casts and at least 100 fish without retying, the leader is a little frayed and the knot is rusty from the hook but it held up perfectly. 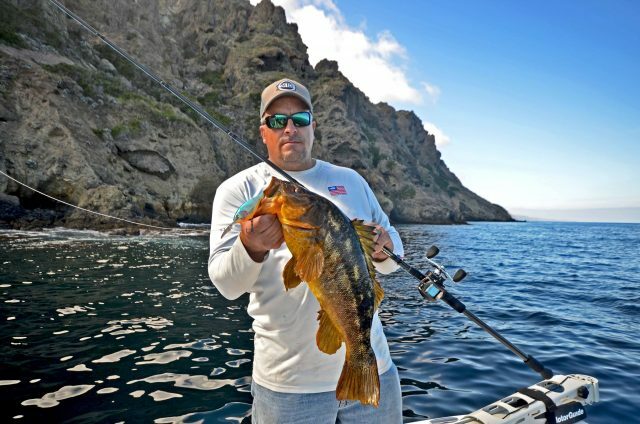 We fished shallow reefs and rocks the last time I was at Clemente and I made it a point not to be careful about dragging my line over exposed rocks. Both the spectra and leader saw plenty of abrasion and I can honestly say that my first impression was wrong, this spectra is tough enough to stand up to inshore abuse. Regarding fishability, hollow core braid definitely casts differently than the solid core I normally fish and I did get a few dug in backlashes my first trip. Those stopped happening once I got a feel for the way it casts and by the end of the first day I was casting as well as ever. 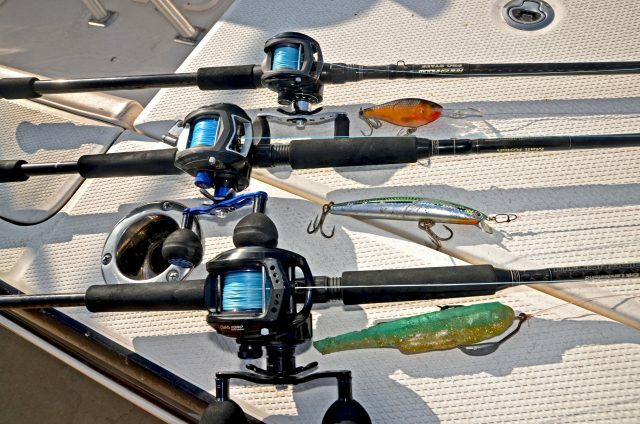 The line also maintains its shape and doesn’t get completely flattened out like some hollow core braided lines do. 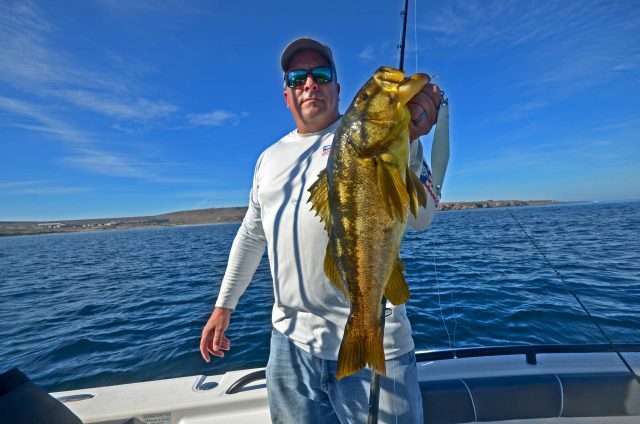 Visit Seaguar’s website to check out these and other great products or learn more on BD Outdoors.